The Russell Athletic Bowl party kicked off Friday night at the team’s hotel, Rosen Shingle Creek. 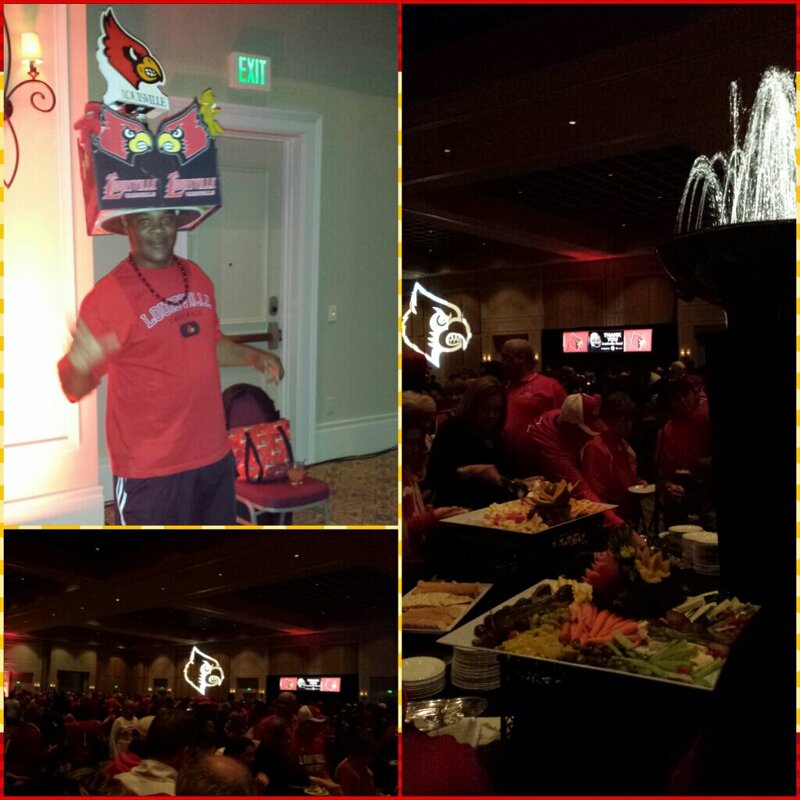 The U of L Athletic Office gave a fan appreciation party for fans who ordered tickets through the Cardinal’s website. The ballroom was laid out with Cardinal decorations, finger foods and cash bars. Two complimentary beverage passes were handed out upon entry. The DJ was on point and everyone was up having a good time. I ran into one of my co-workers, Tom Scott, who is season ticket holder. It’s good to see a familiar face from home. 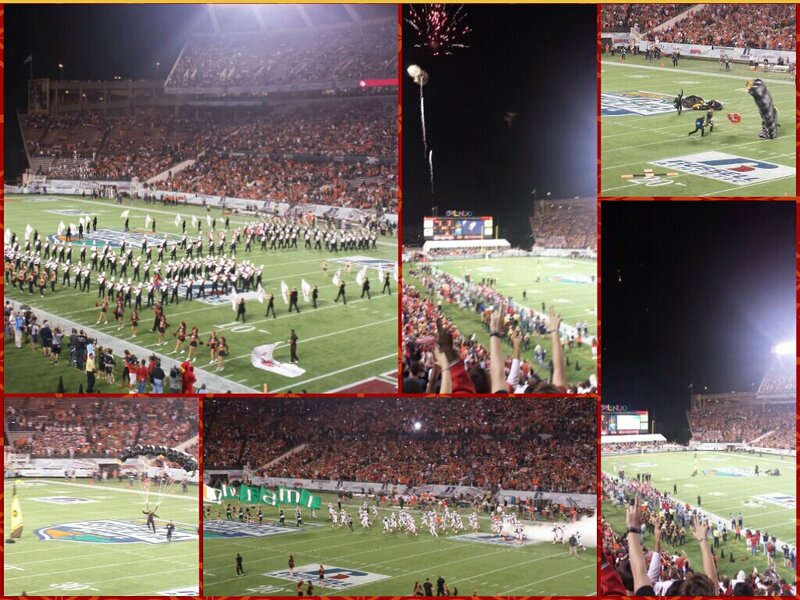 On Saturday, I enjoyed my last day at Oranges Lakes Resort and drove to the Florida Citrus Bowl. Traffic was not bad because of an early arrival. 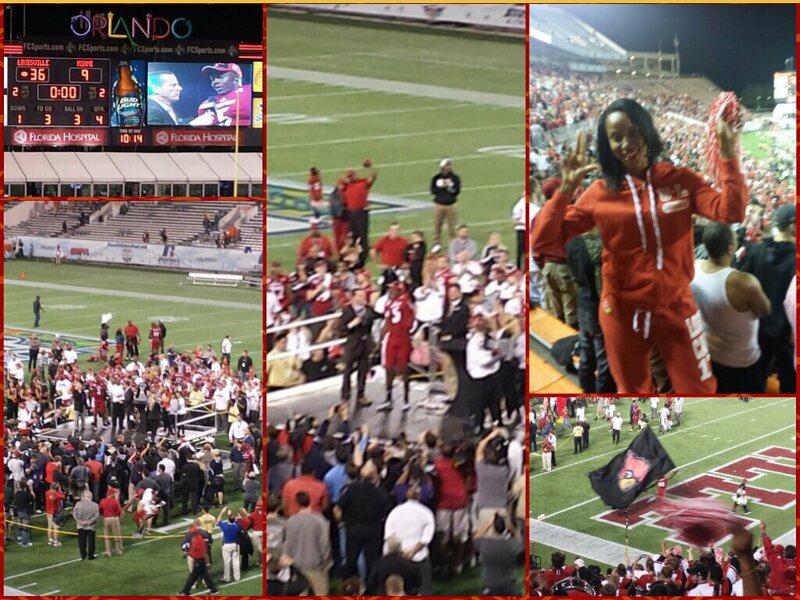 I was not expecting the Citrus Bowl to be smack dab in the middle of the hood. Defense mode was on 10 just off the boarded up project surroundings. The police presence was useless. “Parking $10! !” is all I heard from saggy pants wearing, gold tooth grilling, corner boys. Sadly, people were falling for it. I’m sorry Honey. I’m from the ‘D’ and it takes more than a neon vest and a demanding tone to get your next loud blunt or pill supplied on my coin. 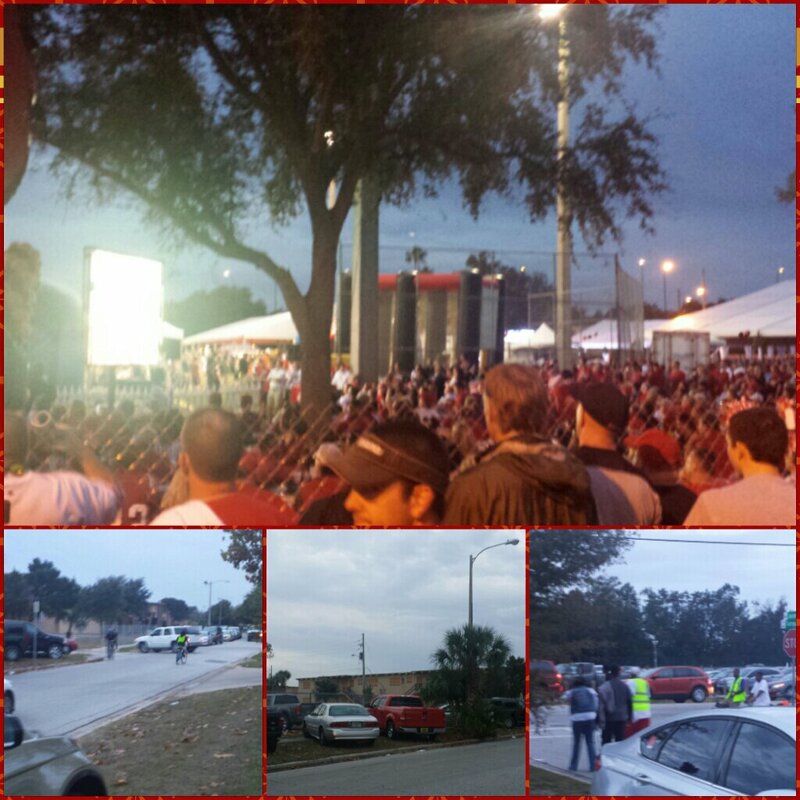 It was only a 2 block walk when I saw a sea of Cardinal Red. Advance tickets could be purchased for a dinner and viewing of the Cards/UK basketball rivalry. Those of us with out tickets just stood along the fence and watched. After leaving that area I was feeling a lot of hostility from the Miami fans. They were mean. The orange and green monsters had us outnumbered and talked major trash. The first touchdown by the Cards kept the Miami fans on hush mode for the remainder of the game. By the 3rd quarter, a majority of the Miami fans were headed South on the Florida Turnpike. GOOD! Less traffic to worry about leaving the Citrus Bowl. 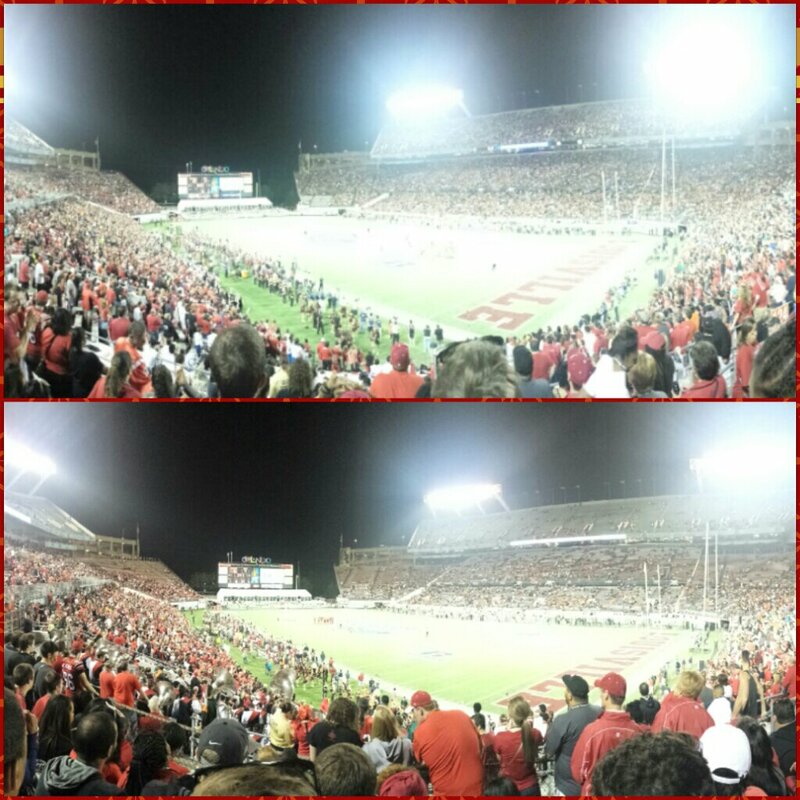 Total turn out was 51,098. According to wikipedia, The Citrus bowl capacity is just over 70k. Miami’s offense couldn’t handle the Cards defense and looked rather slow. WE WON! The cutest thing happened on my way to the truck. I heard some sneak dissing boos. I looked over and saw 4 little kids decked out in Miami gear. I got heckled by 10 year olds! 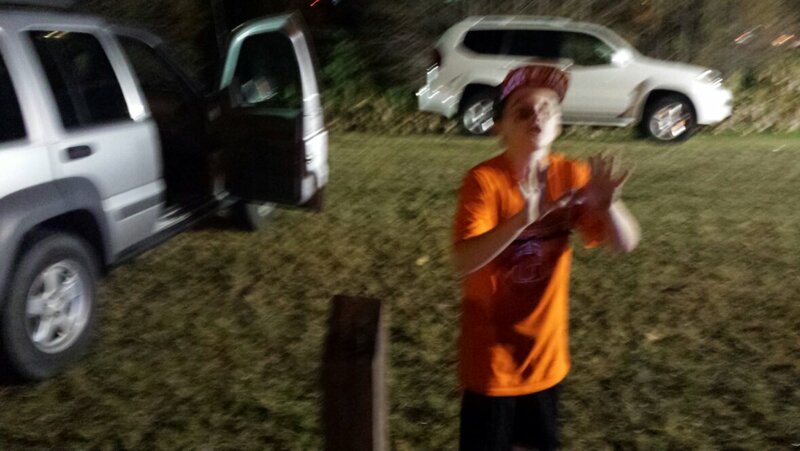 Photo is blurry but this kid gets MVP for Miami fan support. He asked me what the Cards are going to do when Teddy leaves next year. Overall, this was a great cap to my Florida vacation. We just passed TN Titans traffic in Nashville and are headed back to Da Ville. 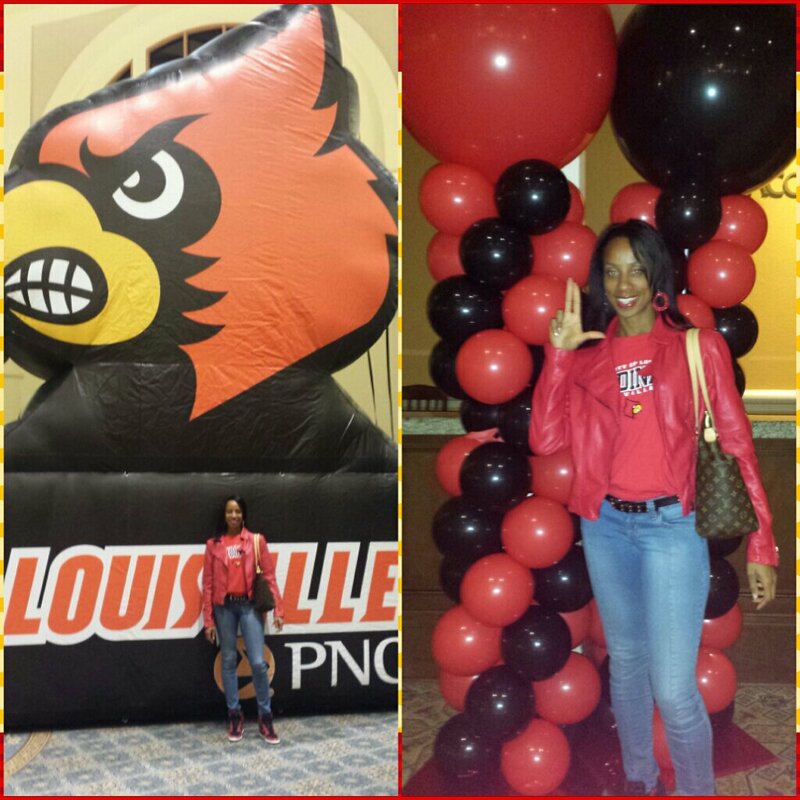 This entry was posted in Louisville, Travel and tagged Cardinal Football, Florida, Orlando, Russell Athletic Bowl Game. Bookmark the permalink. Glad your team won. 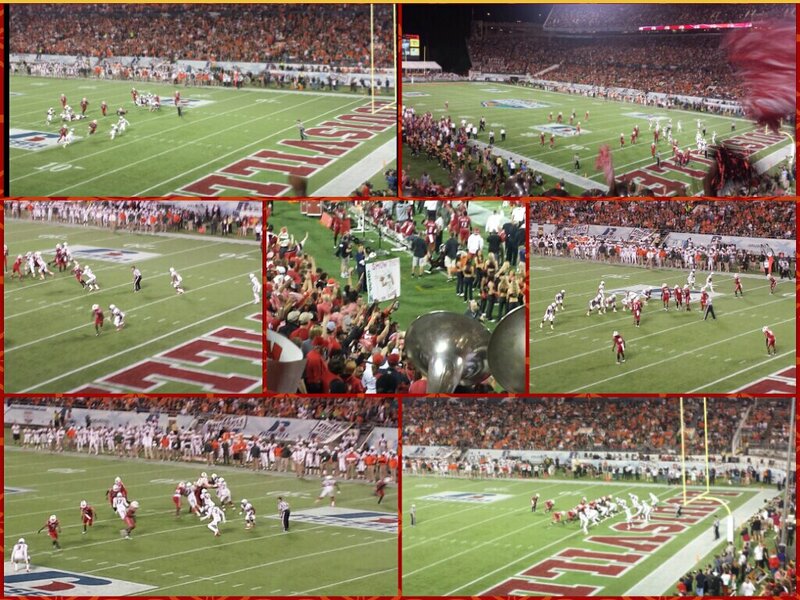 We got to go to our college’s bowl game last year, we were also outnumbered, but we blew them out, so by the end we outnumbered them!